You ever read a book that changed your life? I don’t mean a magical book that turned you into a millionaire or helped you meet your soulmate, or even a book that led you to a decision that altered your life path. I’m talking about books that alter the way you think about the world, books that open up an experience that is so different from your own yet so familiar that you feel more acquainted with humanity for having read them. Maybe it was just a quote that changed how you feel, or a character that taught you something about yourself. 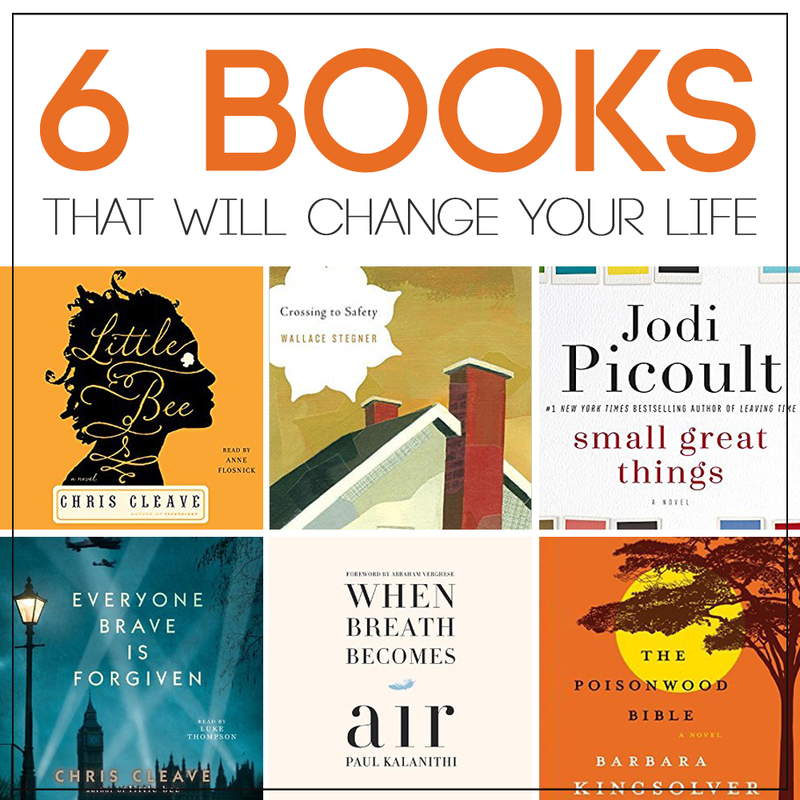 These are the books that stay with you long after you put them down. I spent five hours over the last few days listening to this book as I went about my daily chores: driving around town, cleaning out my pantry, folding piles and piles of laundry. It’s a memoir, written by a man who discovers he has lung cancer shortly before he completes his residency in neurosurgery. He’s spent years becoming someone who can help patients navigate the difficult road between life and death, and suddenly he’s facing death himself. Knowing that this book has become a #1 New York Times bestseller, I expected to find pronouncements on the meaning of life, philosophy, and advice not to squander the time we have. And there was a bit of that, but really this books is a story, simply and elegantly told, about a man, his life’s work, and his life’s love. 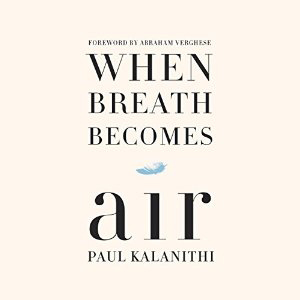 In the first half of the book Kalanithi describes the events that led him to become a doctor as well as some of the cases he treated, cases that demonstrate how exquisitely satisfying and terrifying it must be to hold people’s lives in your hands every day. In the second half of the book he details his decline from a healthy neurosurgical resident working 100 hours a week to a patient coming to terms with what life he has left. Life isn’t about avoiding suffering. That’s an idea I will be carrying with me. This was a beautiful book to listen to an as audiobook. Some audiobooks have a narration that’s like watching a play, with lots of drama and performance. The narration for this audiobook, however, was successful in a better way: it got out of the way of the words and let me really hear the author’s words. Hearing the book read aloud added an immediacy to this story, as if I were listening to a friend share his story with me. The epilogue, written by Paul’s wife Lucy, was amazing as well. If you’re looking to give audiobooks a try, visit Audible and sign up for a 30-day trial and receive your first audiobook free. Our family loves Audible! We listen to books together as a family in the car or at night before heading to bed, my husband listens while he exercises, and I listen while I drive back to the grocery store every single day (I really need to start making a better grocery list!). 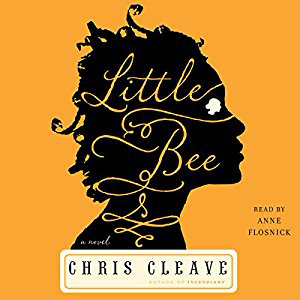 Little Bee is one of the hardest books I have read in a long time. I almost stopped reading early on when I realized the book deals with some truly horrific things that happen to two Nigerian sisters. At the same time, the story felt so true I thought I had a responsibility to continue. I mean, I know this book is fiction, but it’s a realistic reflection of things that happen in our world–the same world that I live in so comfortably–and it doesn’t feel right for me to turn away from it just because it is uncomfortable. This beautifully written book doesn’t just tell us the terrible things that are happening: it shows us love and laughter and sadness and sacrifice and everything that makes us human amidst the terrors. Ruth, an African American nurse, is removed from caring for one of her patients because the patient’s father, a White supremacist, doesn’t want a black woman touching his child. When things go wrong, Ruth finds herself on trial as a result of his request. This book is a page-turner, a great story with a good plot that makes you want to find out what will happen next. At the same time, reading this book helped me understand how race influences my life in ways I’d never thought about before. Written from the perspectives of Ruth, the father, and a white lawyer who considers herself as un-racist as you can be, this book should be required reading for anyone who thinks racism doesn’t exist anymore. 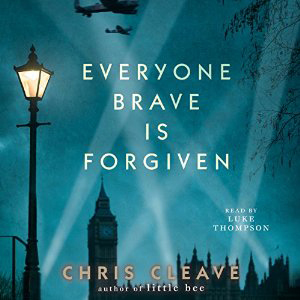 I love great historical novels, so I was looking forward to this book set at the cusp of World War II, but I wasn’t expecting it to be so good, or so impactful. More than any other book I’ve read, I think this novel gave me a glimpse of what it must have actually been like to live through a war that touched everyone around you in a deeply personal way. The overwhelming sadness. The overwhelming tiredness. And the love, and the compassion, and the bravery. And it’s a great love story, too, inspired by the author’s own grandparents. Nathan Price, an evangelical Baptist, takes his wife and four daughters with him on a mission to the Belgian Congo in 1959. He’s convinced he will save the world, or at least some of the savages. He’s certain he’s bringing the truth, even when events don’t unfold as he expected. This book has it all: engaging plot, lyrical writing, and memorable characters. But even better, it will make you examine yourself, what you believe, and what you are certain is true. I truly love this book. It’s a quiet book, in that it’s about normal people doing normal things and living normal lives. It’s about a 30 year friendship, it’s about love and marriage and the way spouses can save or destroy one another. Basically, it’s about life. 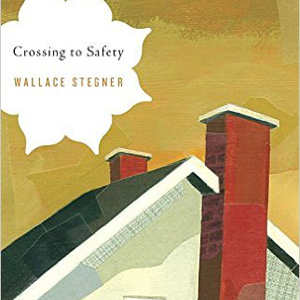 I love that Stegner can make a story that could be about me or you or anyone just as compelling as a spy novel or an action film (and frankly, quite a bit better). I hope you enjoy some of these novels. I’d love to hear what audiobooks you’ve been listening to lately – are there any that have changed your life? Or any that you love for another reason? Leave me a comment and let me know! And if you’re like me and never want to stop reading, head to Audible and sign up for a 30-day trial and get your first audiobook free! With audiobooks, you don’t have to put the book down when it’s time to get stuff done – you can listen while you drive, exercise, clean, or chase kids around at the park. With an unmatched selection of audiobooks, you’ll find what you’re looking for at Audible. I have read The Poisonwood Bible and is surely did change how I see things. I’m active LDS, but its made me a little skeptical about missionary work in countries we don’t know much about. I loved how it was written in the different daughters’ voices. Thanks for the suggestions! I love audio books, because they allow me to read while knitting, or gardening or exercising! 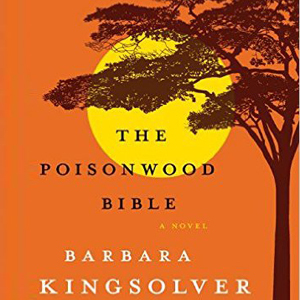 I loved the Poisonwood Bible too. I book I listened to this past summer was, Whistling Past the Graveyard”. It is written in a 12 year olds voice. It was a wonderful look at civil rights through her young eyes. That is a great read, when breath becomes air. I read it after our friend died from brain cancer and it brought much heartache, compassion and so much love for these individuals who have gone thru such a difficult hardship in this life. It was truly beautifully written. 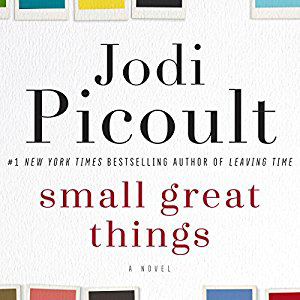 On your recommendation, I read Small Great Things, and then our book club read it as well. It’s definitely one of the best books I’ve read in years!